Free iGrill 3 worth €119.99 when you purchase selected barbecues. 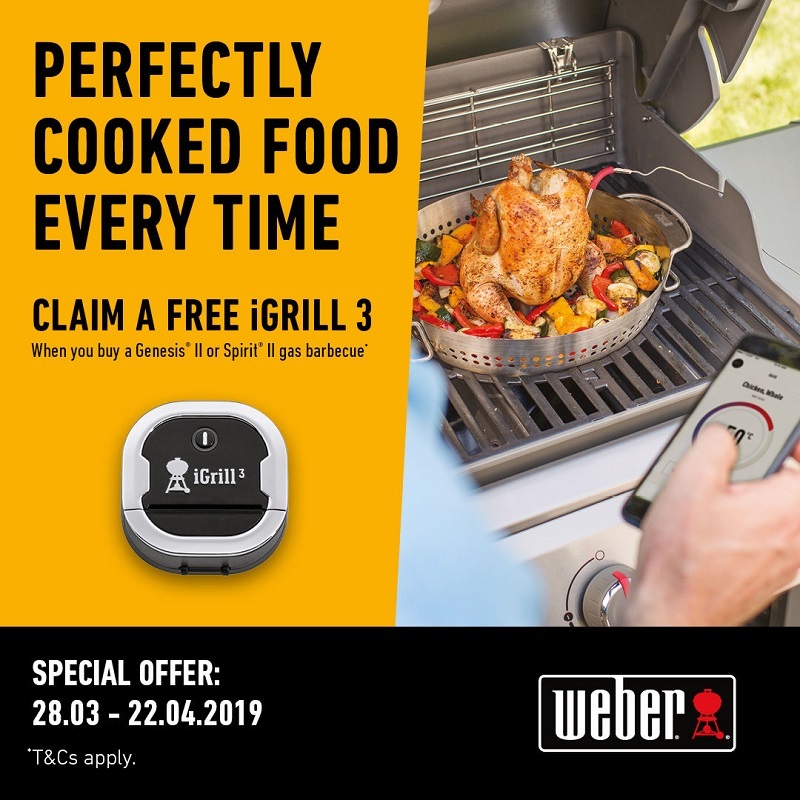 This promotion is supplied directly by Weber and runs from the 28/03/2019 to the 22.04.2019, subject to availability. The offer is 1 free iGrill 3. To claim your free ticket go to Weber.com and register your barbecue.